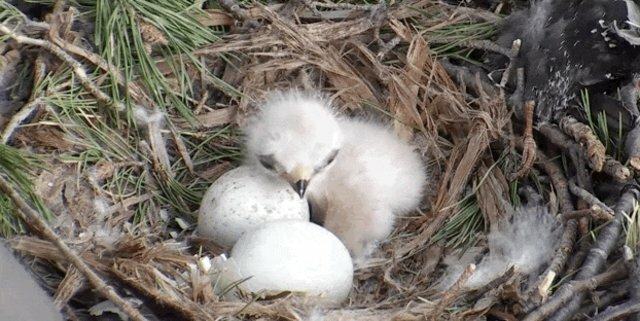 Tiny baby hawks are being welcomed to the world by their mom - right this second. Bird lovers around the world are watching the little red-tailed hawks hatch live right now in Ithaca, N.Y., thanks to the Hawk Cam at Cornell University's Lab of Ornithology.The first sign of the baby hawks' arrival was a little beak peeking through a shell.YouTube/LabofOrnithologyThe oldest hawk is just learning to lift his head ...YouTube/LabofOrnithology... and waiting with his mom for all his siblings to be born. 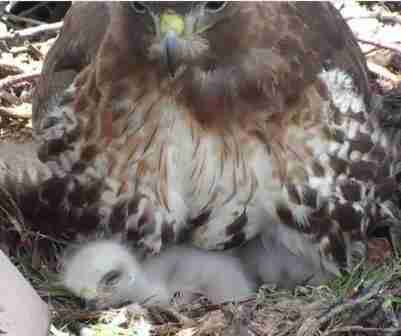 Bird lovers around the world are watching the little red-tailed hawks hatch live right now in Ithaca, N.Y., thanks to the Hawk Cam at Cornell University's Lab of Ornithology. The first sign of the baby hawks' arrival was a little beak peeking through a shell.YouTube/LabofOrnithologyThe oldest hawk is just learning to lift his head ...YouTube/LabofOrnithology... and waiting with his mom for all his siblings to be born. 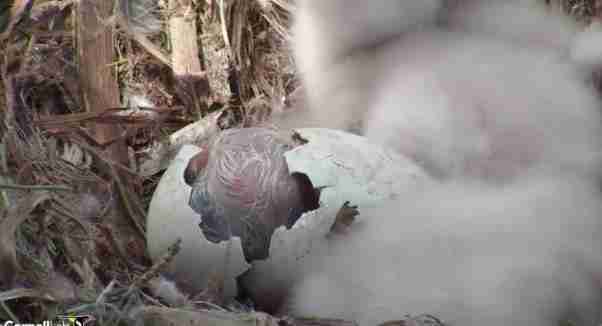 The first sign of the baby hawks' arrival was a little beak peeking through a shell. ... and waiting with his mom for all his siblings to be born. 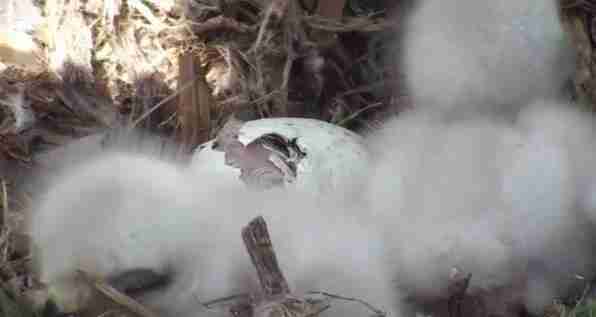 And the last little hawk is breaking out of his shell right now. 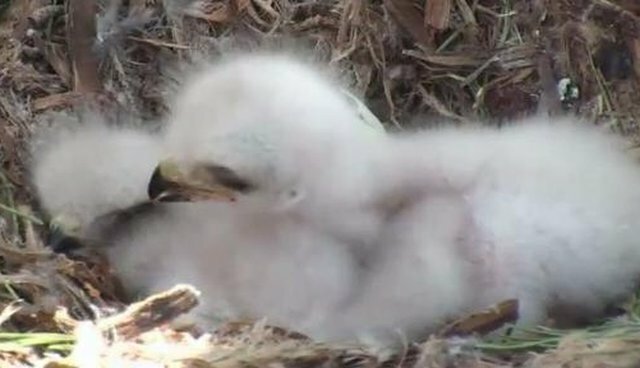 The other baby hawks are resting in the nest, gathering their strength after their big day. And cuddling up to their mom ... like, RIGHT THIS SECOND.